In order to participate in certain Aqua Patch Services, you may be required to agree to additional terms and conditions. Unless otherwise provided by the additional terms and conditions applicable to the Aqua Patch Services in which you choose to participate, those additional terms are hereby incorporated into this Agreement as an integral part hereof. Aqua Patch may modify this Agreement from time to time and such modification shall be effective upon posting by Aqua Patch on the Website. You agree to be bound to any changes to this Agreement when you use the Aqua Patch Services after any such modification is posted. It is therefore important that you review this Agreement regularly to ensure you are updated as to any changes. Use of the Aqua Patch Services is void where prohibited. By using the Aqua Patch Services, you represent and warrant that (a) all information you submit is truthful and accurate; (b) you will maintain the accuracy of such information; (c) you are 13 years of age or older; and (d) your use of the Aqua Patch Services does not violate any applicable law or regulation. Your profile may be deleted without warning, if we believe that you are less than 13 years of age. Minors are not allowed to purchase any Services. Accordingly, by purchasing such services the user declares and represents that he/she is more than 18 years of age and that he/she has full legal capacity to complete such contractual action without need for any additional approvals or consents. Subject to full compliance with the Terms of this Use Agreement, Aqua Patch shall provide certain services, as described more fully on the Website (“Services”). Services may include, but not be limited to, the formation, designing, storage, management, sharing and linking of media and/or document files (including, but not limited to text, user comments, messages, information, data, graphics, photographs, images, illustrations, animations, software, audio and video, also collectively known as the “Content”). Please note that part of the Services (or special features) may be provided only to Users who subscribe for such Services and Aqua Patch may charge fees for such Services. The Services are provided by Aqua Patch AS IS and Aqua Patch assumes no responsibility for any failure in providing the Services to the Users. Aqua Patch may change, suspend or discontinue any or all of the Services or any Content for any reason, at any time, including the availability of any feature or part of the Content at its sole discretion. Aqua Patch may also impose limits on all or any of the Services or restrict your access to parts or all of the Services without notice or liability. Aqua Patch may charge fees for the use of the Services or part of them and may include advertisements or other commercial content in any Aqua Patch product or image or webpage including such which have been created by users unless stated otherwise. You accept sole responsibility for all of your activities using the Website, including your conduct on the site and any and all content you may submit, post or share via the Website. You will not use the Aqua Patch Services for any unauthorized or illegal purpose. You will be responsible for ensuring that you do not violate any laws of your jurisdiction, including but not limited to copyright laws. You will not upload or transmit viruses, worms or any other destructive code. Some of the Services offered on the Website require payment of fees (“Charged Services”). If you elect to sign up for Charged Services, you shall pay all applicable fees, as described on the Website in connection with such Charged Services selected by you. Aqua Patch reserves the right to change its prices at any time. You authorize Aqua Patch directly or through third parties, to make any inquiries it considers necessary to validate your account and financial information that you provided while signing up for such Services. All fees are exclusive of all taxes, levies, or duties imposed by taxing authorities, and you shall be responsible for payment of all such taxes, levies, or duties. You agree to pay any such taxes that might be applicable to your use of the Services and payments made by you to Aqua Patch. Users purchasing Charged Services shall pay any and all prices and fees due for such Services. All prices and fees are non-refundable unless otherwise expressly noted. Aqua Patch expressly reserves the right to change or modify its prices and fees at any time, and such changes or modifications shall be posted online at the Website and effective immediately without need for further notice to any user. You are responsible for maintaining the security of your account, and you are fully responsible for all activities that occur under the account and any other actions taken in connection with the Website. You agree to immediately notify Aqua Patch in writing of any unauthorized uses of your account or any other breaches of security. Aqua Patch cannot and will not be liable for any loss or damage from your failure to comply with this security obligation. You acknowledge and agree that under no circumstances will Aqua Patch be liable, in any way, for any acts or omissions by any Aqua Patch User or other third party, including any damages of any kind incurred as a result of such acts or omissions. A. YOU AGREE THAT YOUR USE OF THE AQUA PATCH WEBSITE SHALL BE AT YOUR SOLE RISK. TO THE FULLEST EXTENT PERMITTED BY LAW, AQUA PATCH, ITS OFFICERS, DIRECTORS, EMPLOYEES, AND AGENTS DISCLAIM ALL WARRANTIES, EXPRESS OR IMPLIED, IN CONNECTION WITH THE WEBSITE AND YOUR USE THEREOF. 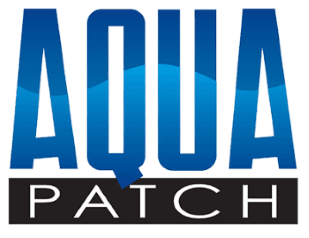 AQUA PATCH MAKES NO WARRANTIES OR REPRESENTATIONS REGARDING THE ACCURACY OR COMPLETENESS OF THE CONTENT ON THE AQUA PATCH WEBSITE OR THE CONTENT OF ANY SITES LINKED TO THE AQUA PATCH WEBSITE. B. IN NO EVENT SHALL AQUA PATCH, ITS OFFICERS, DIRECTORS, EMPLOYEES, OR AGENTS, BE LIABLE TO YOU FOR ANY DIRECT, INDIRECT, INCIDENTAL, SPECIAL, PUNITIVE, OR CONSEQUENTIAL DAMAGES WHATSOEVER RESULTING FROM ANY (I) ERRORS, MISTAKES, OR INACCURACIES OF CONTENT, (II) PERSONAL INJURY OR PROPERTY DAMAGE, OF ANY NATURE WHATSOEVER, RESULTING FROM YOUR ACCESS TO AND USE OF OUR WEBSITE, (III) ANY UNAUTHORIZED ACCESS TO OR USE OF OUR SECURE SERVERS AND/OR ANY AND ALL PERSONAL INFORMATION AND/OR OTHER INFORMATION STORED THEREIN, (IV) ANY INTERRUPTION OR CESSATION OF TRANSMISSION TO OR FROM OUR WEBSITE, (IV) ANY BUGS, VIRUSES, TROJAN HORSES, OR THE LIKE WHICH MAY BE TRANSMITTED TO OR THROUGH OUR WEBSITE BY ANY THIRD PARTY, AND/OR (V) ANY ERRORS OR OMISSIONS IN ANY CONTENT OR FOR ANY LOSS OR DAMAGE OF ANY KIND INCURRED AS A RESULT OF THE USE OF ANY CONTENT POSTED, EMAILED, TRANSMITTED, OR OTHERWISE MADE AVAILABLE VIA THE AQUA PATCH WEBSITE. THE FOREGOING LIMITATION OF LIABILITY SHALL APPLY TO THE FULLEST EXTENT PERMITTED BY LAW IN THE APPLICABLE JURISDICTION. C. YOU SPECIFICALLY ACKNOWLEDGE THAT AQUA PATCH SHALL NOT BE LIABLE FOR THE DEFAMATORY, OFFENSIVE, OR ILLEGAL CONDUCT OF ANY THIRD PARTY AND THAT THE RISK OF HARM OR DAMAGE FROM THE FOREGOING RESTS ENTIRELY WITH YOU. D. AQUA PATCH DOES NOT WARRANT, ENDORSE, GUARANTEE, OR ASSUME RESPONSIBILITY FOR ANY PRODUCT OR SERVICE ADVERTISED OR OFFERED BY A THIRD PARTY THROUGH THE AQUA PATCH WEBSITE OR ANY HYPERLINKED WEBSITE OR FEATURED IN ANY BANNER OR OTHER ADVERTISING, AND AQUA PATCH WILL NOT BE A PARTY TO OR IN ANY WAY BE RESPONSIBLE FOR MONITORING ANY TRANSACTION BETWEEN YOU AND THIRD-PARTY PROVIDERS OF PRODUCTS OR SERVICES. AS WITH THE PURCHASE OF A PRODUCT OR SERVICE THROUGH ANY MEDIUM OR IN ANY ENVIRONMENT, YOU SHOULD USE YOUR BEST JUDGMENT AND EXERCISE CAUTION WHERE APPROPRIATE. E. AQUA PATCH MAKES NO REPRESENTATIONS THAT THE AQUA PATCH WEBSITE IS APPROPRIATE OR AVAILABLE FOR USE IN ALL LOCATIONS. THOSE WHO ACCESS OR USE THE AQUA PATCH WEBSITE FROM JURISDICTIONS PROHIBITING SUCH USE, DO SO AT THEIR OWN VOLITION AND ARE RESPONSIBLE FOR COMPLIANCE WITH LOCAL LAW. Under no circumstances shall Aqua Patch be held liable for any delay or failure in this Website and/or any of the Services and/or information on the Website directly or indirectly resulting from, arising out of, relating to or in connection with events beyond the reasonable control of Aqua Patch, including, without limitation, internet failures, equipment failures, electrical power failures, strikes, labor disputes, riots, insurrections, civil disturbances, shortages of labor or materials, fires, floods, storms, earthquakes, explosions, acts of God, war, terrorism, intergalactic struggles, governmental actions, orders of courts, agencies or tribunals or non-performance of third parties. The provisions of this paragraph are in addition to, and not intended to limit or modify, the limitation of Limitation of Liability section as stipulated above. By registering to the Aqua Patch Website and providing your email address, you expressly agree to receive promotional content from Aqua Patch, by mail or email, from time to time. If you provide Aqua Patch with your phone number (at any stage of use of the Services), Aqua Patch shall be entitled to call you or send you promotional SMS notices from time to time. If you wish not to receive such promotional content / notices, you may notify Aqua Patch at any time.